IHOP stands for International House of Pancakes—everybody knows that. But what does IHOb stand for? On Monday, the secret was revealed with much ironic fanfare. The B stands for (drumroll, please) Burgers. IHOP was now the International House of Burgers. 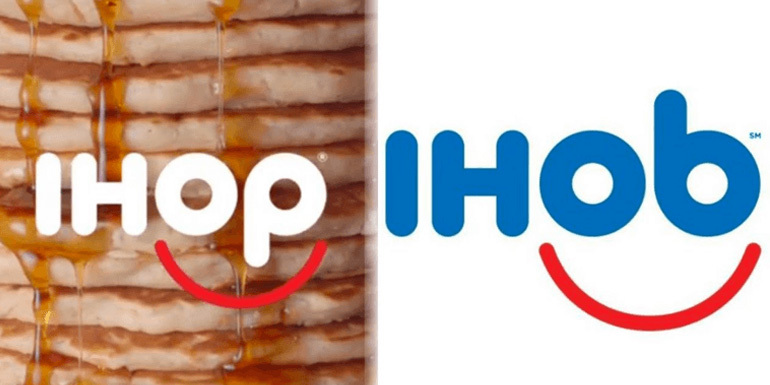 The IHOb name change had backfired horribly—or had it? First, IHOP was never really changing its name. In fact, the chain just completed a multimillion-dollar rebrand of its 1,650 locations in 2015. And no, they are not walking away from over a half-century of being the name in fast-casual breakfast franchises. 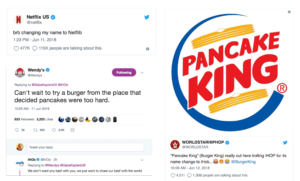 No, IHOb was not a name change, it was a PR stunt and all of the trolling and groaning from the Twittersphere was not only expected… it was the point. The millions of people who smugly declared the International House of Burgers move the worst brand corporate marketing play since New Coke were actually out there spreading the very message that IHOP wanted everyone to focus on. Burgers. IHOP serves burgers. And as Biggie once said, “If ya don’t know, now ya know.” Those legions of snarky trolls who were out there trying to take the brand down a notch with their critiques were instead earning IHOP millions of free impressions. Name change stunts are not new (remember when Pizza Hut famously became Pasta Hut to promote their new non-pizza menu items? ), but isn’t all of that negative public sentiment going to hurt the brand? Not likely. If you are a fan of IHOP’s Belgian waffles, their French crepes and Western omelets as big as the Grand Canyon, you’re still gonna hit The House to get your breakfast fix on. But come burger time, you might just have a new place to try now.